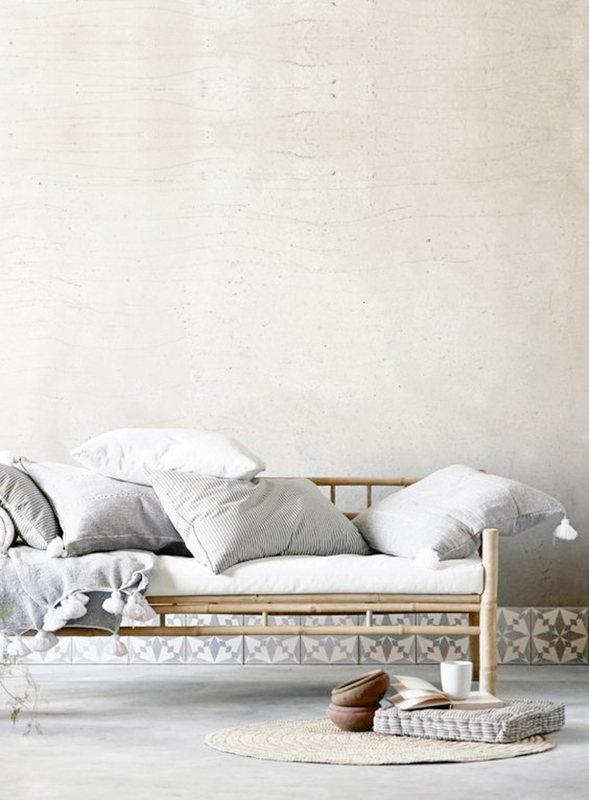 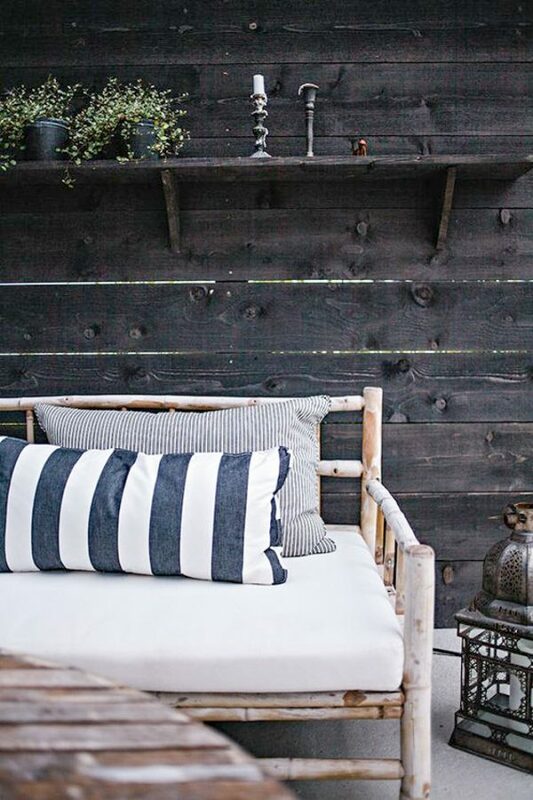 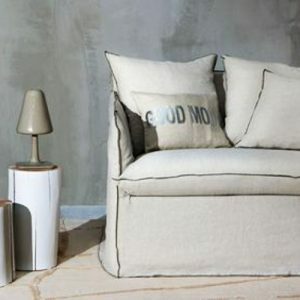 Tine K home style is a mixture of bohemian living, elegant simplicity and botanical living. 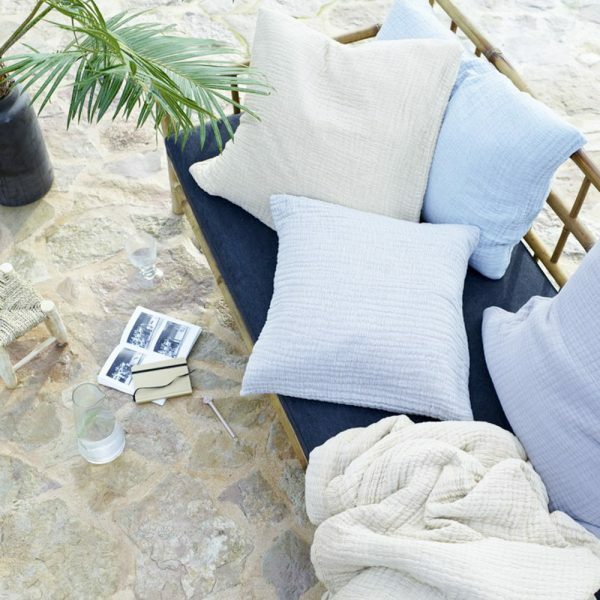 Inspired by travel and nature, TineK combines colors and traditional crafts to collections that with their consistent Scandinavian simplicity fits so nicely in the times design trend. This is a lounge sofa in Scandinavian design with beautiful straight lines made of bamboo. 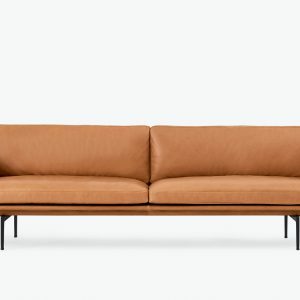 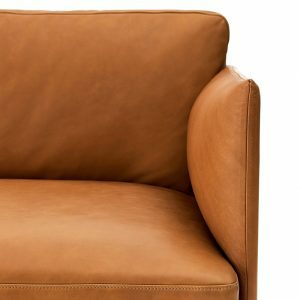 The simplicity of the design makes the sofa easy to integrate into your style, especially into the Ibiza atmosphere. 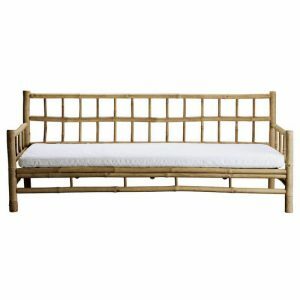 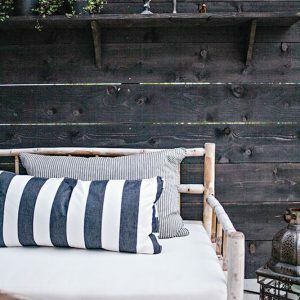 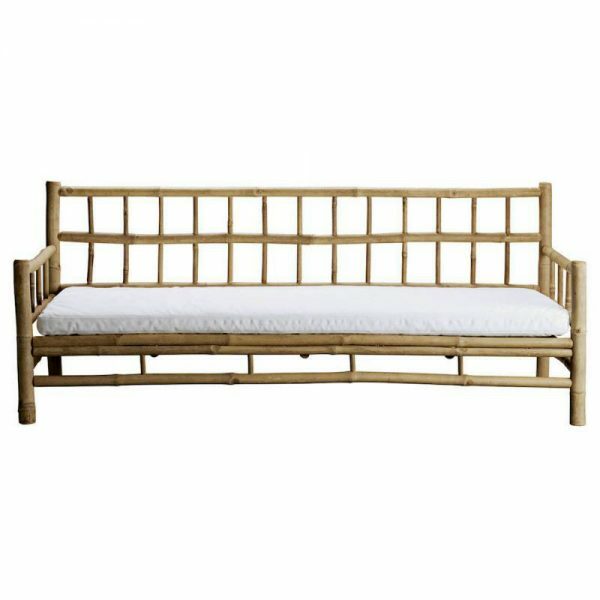 You can use this bamboo lounge sofa both indoor and outdoor. 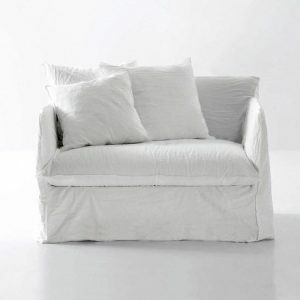 The furniture is represented all around the world at hotels, beach clubs, restaurants and in private homes. 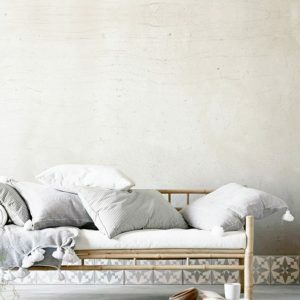 You cand find them at La Granja, Finca Can Marti and many more places and private houses. 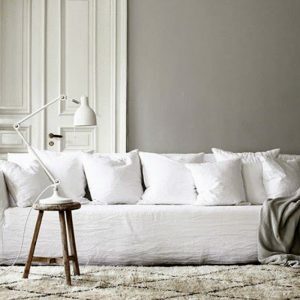 The sofa includes mattress and three different finishes: phantom, white and grey. 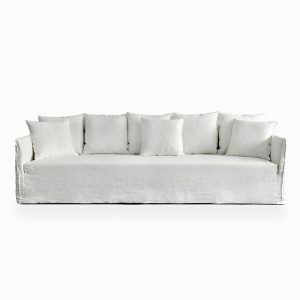 We have the lounge sofa with phantom mattress at our store in Ibiza.